Media processing and kernel privilege escalation flaws were patched in the January Android security update. Google has fixed a new batch of vulnerabilities in Android that could allow hackers to take over devices remotely or through malicious applications. 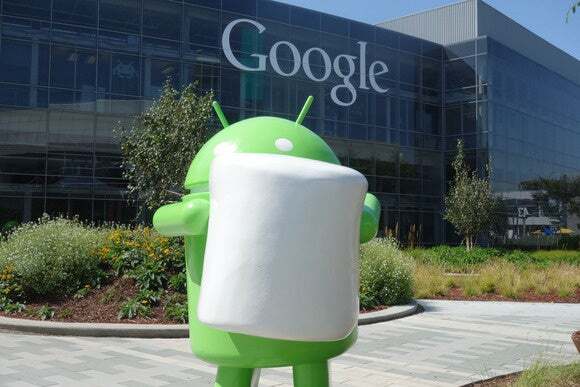 The company released over-the-air firmware updates for its Nexus devices Monday and will publish the patches to the Android Open Source Project (AOSP) repository by Wednesday. Manufacturers that are Google partners received the fixes in advance on Dec. 7, and will release updates according to their own schedules. The new patches address six critical, two high and five moderate vulnerabilities. The most serious flaw is located in the mediaserver Android component, a core part of the operating system that handles media playback and corresponding file metadata parsing. By exploiting this vulnerability attackers can execute arbitrary code as the mediaserver process, gaining privileges that regular third-party applications are not supposed to have. The vulnerability is particularly dangerous because it can be exploited remotely by tricking users into opening specifically crafted media files in their browsers or by sending such files via multimedia messages (MMS). Google has been busy finding and patching media-file related vulnerabilities in Android since July, when a critical flaw in a media parsing library called Stagefright led to a major coordinated patching effort from Android device manufacturers and prompted Google, Samsung, and LG to introduce monthly security updates. It seems that the stream of media processing flaws is slowing down. The remaining five critical vulnerabilities fixed in this release stem from bugs in kernel drivers or the kernel itself. The kernel is the highest privileged part of the operating system. One of the flaws was in the misc-sd driver from MediaTek and another in a driver from Imagination Technologies. Both could be exploited by a malicious application to execute rogue code inside the kernel, leading to a full system compromise that might require re-flashing the operating system in order to recover. A similar flaw was found and patched directly in the kernel and two others were found in the Widevine QSEE TrustZone application, potentially allowing attackers to execute rogue code in the TrustZone context. TrustZone is a hardware-based security extension of the ARM CPU architecture that allows sensitive code to be executed in a privileged environment that’s separate from the operating system. Kernel privilege escalation vulnerabilities are the type of flaws that can be used to root Android devices—a procedure through which users gain full control of their devices. While this capability is used legitimately by some enthusiasts and power users, it can also lead to persistent device compromises in the hands of attackers. That’s why Google does not allow rooting apps in the Google Play store. Local Android security features such as Verify Apps and SafetyNet are designed to monitor for and block such applications. To make the remote exploitation of media parsing flaws harder, the automatic display of multimedia messages has been disabled in Google Hangouts and the default Messenger app since the first Stagefright vulnerability in July.